Most people think of massages and facials when they think of spas and spa treatments, but spas have a much wider variety of services that one might think. They also offer skin treatments for the entire body, manicures and pedicures, hair-removal services as well as other skin treatments that until recently were only available at a doctor's office. Facials are skin-care treatments that include exfoliation, steam, moisturizers, masks, peels and massages. They remove the dry, dull skin cells from the skin's surface, massage the muscles to increase circulation, remove clogged pores and completely hydrate the new, fresh layer of skin. Some facials target specific problem areas such as reducing puffiness and dark circles around the eyes. Others help with anti-aging, such as applying collagen to the skin to help it tighten the skin and reduce wrinkles. Facial skin isn't the only area that needs exfoliation and moisturizing. Spas provide a variety of skin treatments for the entire body: aquatherapy, body polishes, body wraps and vichy showers. In aquatherapy, you soak in aqua-jet tubs with aromatherapy oils, moisturizers and exfoliates. These soaks improve circulation and exfoliate and hydrate the skin. Body polishes are essentially body facials. The body is scrubbed to slough dead skin cells and smooth out the skin, and then moisturizers —usually cream — are massaged into the skin for hydration. Salt scrubs are the most common body polishes, where aestheticians use scrubs of sea salt for exfoliation. A salt scrub is often the first step in a body-wrap treatment. After the body has been exfoliated, it's then wrapped in either seaweed or mud to help extract impurities from the skin and improve overall skin texture. After removing the wrap, you rinse in a shower and then apply extra moisturizer. Vichy showers are sometimes used at the end of a body polish or a body wrap, but they can be experienced alone as well. These showers have five to seven shower heads that pour water on you while you lie on a cushioned table. They help promote blood circulation as well as skin hydration. Massages are probably the most popular spa treatments, with a variety of styles offered. A Swedish massage is the most common method. The therapist uses massage oil to ease massaging in long, smooth strokes and covers the parts of the body not being massaged with a sheet. Sometimes the oils incorporate aromatherapy to further aid in relaxation. Pregnancy massages are Swedish massages performed specifically to help ease muscle tension in a mom-to-be's lower back, shoulders and legs. Deep-tissue massages use many of the same movements and techniques from Swedish massage but apply more intense pressure to release muscle tension and knots. Hot-stone massages also implement the same long stroke techniques in a Swedish massage, but therapists stroke the muscles with heated basalt stones. The heat from the stones improves circulation in the muscles and aids in injury healing. Sometimes therapists will leave the hot stones lying on the spine for therapeutic flow. A reflexology massage focuses primarily on the feet. The therapist will apply pressure to reflex points on the feet to release blockages in the body systems and improve circulation. 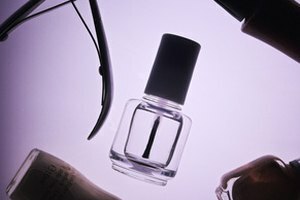 Most spas offer both manicures and pedicures, nail treatments for both hands and feet. These same treatments can be found at any nail salon for less than spa prices, but spas often go an extra mile or two for manicures and pedicures than a typical nail salon. In addition to shaping and polishing nails, nail technicians at spas will also exfoliate the skin, soften the skin, apply paraffin treatments and perform warm cream and/or hot-stone massages. Waxing is the most traditional hair-removal technique that spas offer. Aestheticians apply hot wax to the skin and then press a cloth strip into the wax. They then quickly pull off the strip along with the hairs captured by the wax. Waxing can remove hair from all areas of the body, including chest hair, back hair, eyebrows, leg hair, upper-lip hair and bikini areas. Some spas even offer full Brazilian waxes, where all of the hair from the genital area is removed. Sugaring is another hair-removal method similar to waxing. The only difference is instead of wax, a sticky paste of sugar cream is used. Threading is a technique from India and the Middle East that is becoming more popular in Western cities as well. The aesthetician will hold one end of a thread in her teeth and the other in her left hand. She loops the middle of the thread through the index and middle fingers on her right hand and then uses the loop to entrap hair and pull it. Unlike waxing and sugaring, threading can only remove facial hair. Not all spas offer these, but more and more are starting to offer skin treatments that used to only be available at a physician's office. These treatments include microdermabrasion, CACI face-lifts, Botox injections, Restylane, Juvederm, laser hair removal and pulsed-light hair removal. Microdermabrasion is a noninvasive procedure that uses a spray of microcrystals to remove the outer layer of dead skin cells from the skin surface. CACI (computer-aided cosmetology instrument) face-lifts use an electronic device to tone facial muscles, which smooths away wrinkles and fine lines, lifts sagging skin, plumps up lips and lifts baggy eyes. Botox, Restylane and Juvederm are all cosmetic injections to help reduce signs of aging such as frown lines, crow's feet and wrinkles. Both laser and pulsed-light hair removal permanently remove hair from all parts of the body. The pulsed-light hair removal system is a fairly new procedures that uses a beam of light to remove the hair instead of a laser. It works faster and is also more comfortable than laser hair removal. Keri Honea has a Master of Arts in technical writing from the University of North Texas, but did not become a full-time writer until early 2008. She is currently a technical writer for Content Solutions where she provides web site content and assists with designing and writing public relations materials for various companies. She also writes for the Examiner as a video game journalist.